CARFAX One-Owner. ** ONE OWNER **, ** CLEAN CARFAX **, ** LOCAL TRADE **, **LT PLUS PACKAGE**, **ONSTAR**, **POWER DRIVER SEAT**.Odometer is 10219 miles below market average!Reviews:* Maybe you're on a budget or just starting a family - the Chevrolet Trax is small in stature, but it can still haul its fair share of passengers and cargo. Source: KBB.com* Easy to maneuver in the city; respectable passenger space for its size; plenty of storage slots; lots of standard equipment for the money. Source: Edmunds* The all-new 2015 Trax gives you the best of both worlds: the versatility of an SUV and the maneuverability to park on city streets. With an elevated view of the road, you can take command of your city's streets. 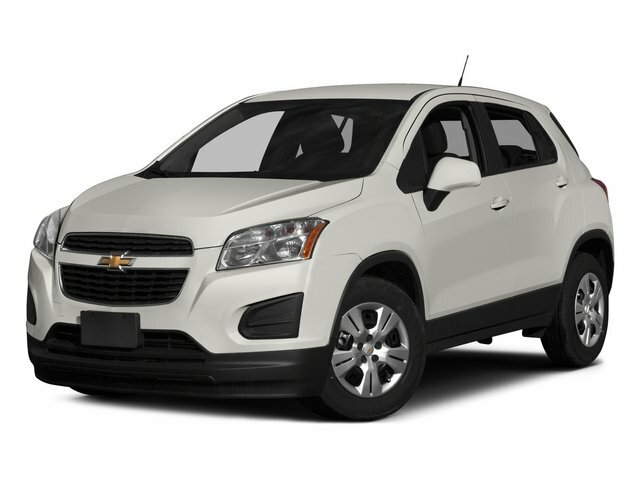 And with the signature Chevrolet dual-port grille, swept-back headlights and available chrome accents, the Trax small SUV is sure to turn heads wherever you go. The interior can be easily reconfigured to maximize versatility, thanks to the 60/40 flip-and-fold rear seat and fold-flat front passenger seat. The fun begins at every stoplight, thanks to the confident acceleration of the 1.4L turbocharged ECOTEC engine that's standard in every Trax. The horsepower is 138, but it's the 148 lb.-ft of at-the-ready torque that makes Trax so responsive to every touch Trax gives you two ways of engaging more directly in your driving, with a standard six-speed manual transmission on LS models, and a six-speed automatic transmission on LT and LTZ models. Turbocharging doesn't only increase power generation, it also enhances fuel efficiency delivering a 5.7L/100 km hwy fuel consumption rating that is unsurpassed. The available Chevrolet MyLink Radio connects your compatible smartphone to the MyLink 178mm color touch-screen display and enables you to use screen, voice commands, or the steering wheel-mounted controls. The system also allows you to access apps like Stitcher SmartRadio and TuneIn that can stream over 70,000 radio stations from around the world and best enjoyed with the available seven-speaker Bose premium sound system that features its own amplifier. Source: The Manufacturer SummaryAwards:* 2015 IIHS Top Safety Pick * 2015 KBB.com 10 Tech-Savviest Cars Under $20,000 * 2015 KBB.com 10 Most Fuel-Efficient SUVsWhether you are in the market to purchase a new or pre-owned vehicle, if you need financing options, we'll help you find a car loan that works for you! Even if you have bad credit, or are a first time car buyer, you can trust that Covert Ford Chevrolet Hutto will professionally fit you into the automobile of your choice. Please call Dan Covert or text at (512)993-7628 for personal assistance or come out and see us. You can also call the main number (877)918-0151 for assistance. We are just a short drive from these areas Austin, Round Rock, Georgetown, Leander, Pflugerville, Killeen, Temple and other local cities. Please come out and be apart of the Covert family.